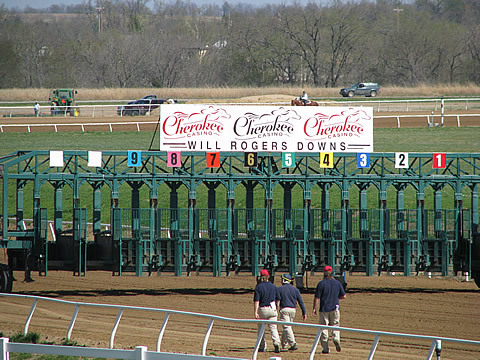 The Will Rogers Downs is a gaming facility and race track located in Claremore, Oklahoma owned and operated by the Cherokee Nation. The facility features a 2,700-seat grandstand along a one-mile long track. More than 250 electronic gaming machines comprise the facility's casino section, while the largest RV Park in Oklahoma is located on its grounds.